Here's an update to yesterday's item on the Idaho legislator who asked whether a swallowed camera could be used for a gynecological exam. This was a hearing on Idaho HB 154, which would make it illegal for doctors to prescribe chemical-abortion/day-after pills (choose your label) unless they do so in person. Apparently this is sometimes done after counseling and diagnosis via Skype/telemedicine technology (choose your label) instead. The bill would also provide a broad civil cause of action against doctors who violate it. The bill's liberal opponents seem to think the real motive is to restrict access to abortion, and based on that cynical view they sent a female emergency-care doctor to testify against the bill. She was in the process of testifying that the procedure is not only safe, it is much safer than, for example, a colonoscopy (an example presumably calculated to resonate with the committee members who lack lady parts, on the theory that they do have colons). 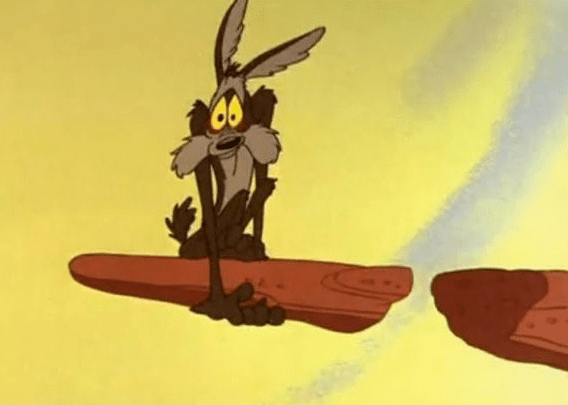 This is the point at which Rep. Barbieri (who supports the bill, remember) pounced, although that is the correct term only in the sense that Wile E. Coyote used to "pounce" on the Roadrunner. "You mentioned the risk of colonoscopy," Barbieri said. "Can that be done by drugs?" "It cannot," Dr. Madsen said, but then went on to make the point that it can be done remotely if the patient swallows a camera, the images of which can then be reviewed by a doctor anywhere. She of course was trying to make the point that "telemedicine" can be safe and effective. "But this is a very different medical procedure we're talking about here, isn't it, doctor?" Barbieri said. "A colonoscopy is just observation and you're not chemically inducing anything from thousands of miles away, isn't that right?" No, wait, that's what he should have said. What he actually said was, "Can this same procedure then be done in a pregnancy? Swallowing a camera and helping the doctor determine what the situation is?" As Barbieri pointed out today, he wasn't asking the question in order to learn something. (I mean, it was a legislative hearing.) Rather, he was "asking a rhetorical question that was designed to make her say that [colonoscopies and abortions] weren't the same thing, and she did so. It was the response I wanted." Well, that last part certainly isn't true. As Rep. Barbieri knows (he has a law degree, at least), the process he's describing there is called "cross-examination." You never ask a question during cross-examination to which you don't already know the answer, and we can probably assume he does at least know the general layout in there and what all connects to what. His mistake was to ask an open-ended question, not one that calls for the answer you want (and that you know is right). 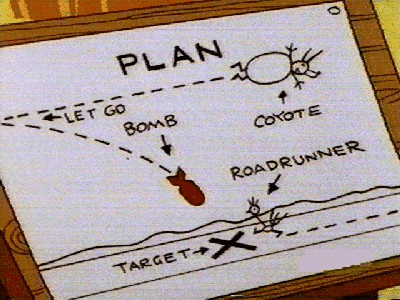 As this demonstrated, fail to do so and the Roadrunner will zip right through the tunnel you painted and you'll get hit by a truck coming the other way. Or something like that.